At the end of July, I had $48,600 in my TFSA account, which was up by 4.3% during the month. By comparison, the Canadian stock market went down by 0.1% while the U.S. stock market went down by 1.5% in Canadian dollar terms. Therefore, my portfolio outperformed in June. Last month, I explained that I had changed my mind on the long term oil price outlook. However, the majority of my portfolio still currently consists of oil and gas stocks, so the performance of my portfolio is still largely tied to oil. The price of oil went up this time from $46.02/barrel to $50.21/barrel at the end of July. But despite the big bounce in oil prices, my portfolio only went up a modest amount. There are several reasons why I’m still holding onto my oil and gas stocks. While I no longer believe that oil prices above $60/barrel are sustainable, prices under $50/barrel don’t look sustainable either. After three months of below $50/barrel prices, the drilling activity of shale oil producers has plateaued. Yet, it’s becoming increasingly clear that drilling activity will have to increase for U.S. oil producers to meaningfully increase output next year. Furthermore, it’s now as clear as day that there is a global undersupply of oil. U.S. oil inventories have drawn down at a rapid pace in July, and that looks set to continue into August and September. This, in theory, should propel oil prices to roughly $55/barrel, which I think may be the equilibrium price. At $55/barrel, all of my oil and gas stocks should generate modest profits, so I don’t mind holding onto them for now. However, if oil prices end up exceeding $55/barrel, I would be tempted to unload some of them to de-risk my portfolio. But whether I actually sell the stocks or not will depend on whether I have a better idea of where to put my money. As I’ve explained in the past, my TFSA portfolio contains my highest risk and potentially highest reward investments. I have enough cash and other relatively safe investments stashed up in my other accounts, so I don’t want to sell my oil and gas stocks if I’ll just hold the proceeds in a safe investment. I could put my money into an stock index fund, but that would virtually guarantee that I won’t meet my objective of reaching $1 million by 2033. Given today’s expensive valuations, I expect the North American stock market to generate no more than 3 to 4% per year in returns over the next 10 years. Of course, I could abandon my goal of reaching the $1 million mark, but I’m not prepared to do that yet. I still believe it’s possible to significantly outperform the stock market by picking stocks. I see signs of market inefficiency everywhere, from the valuation of Tesla’s stock to the popularity of cryptocurrencies. Some people like to think that humans are pretty rational when it comes to investments, but I think the opposite is often true. I think that a rational and disciplined value investor can outperform other investors over the long haul. However, I haven’t had good success over these past few years. A large part of this has been due to my optimism on oil, which appears to have been misplaced. But my non-oil related bets haven’t panned out either. For example, I had bet on IBM, because of their stellar record on generating profits, and because of my assumption that their clients will keep buying their legacy products and services. But despite the vast incentives that corporations have in sticking with IBM, the company’s products were so bad that corporations are abandoning them anyway. When I reflected on these failures, I realized a few things. When I value a company, I generally rely on a strict framework. There are three big components for this framework: the liquidation value of the company’s assets, the “true” level of a company’s earnings, and the future growth rate of those earnings. In general, I’ve found estimating the first two components to be relatively straightforward. Companies today put out a lot of accounting disclosures that help with this task. Furthermore, these components tend to have a limited effect on the total valuation of a company. For example, if I miscalculate the value of a company’s liquidation value by 10%, then I might be off on the value of the entire company by 5%. However, incorrectly estimating the growth of a company’s earnings can have significant consequences. For example, let’s say a company earns $10 million a year. If I expect the company’s earnings to grow by 6% per year and use a discount rate of 10% per year, then the value of the company is $10 million / (10% - 6%) = $250 million. But if the correct rate of growth is just 1% lower at 5%, then the correct value of the company is $10 million / (10% - 5%) = $200 million, which is 20% lower than the previous estimate. Unfortunately, correctly guessing a company’s earnings growth rate is very difficult. 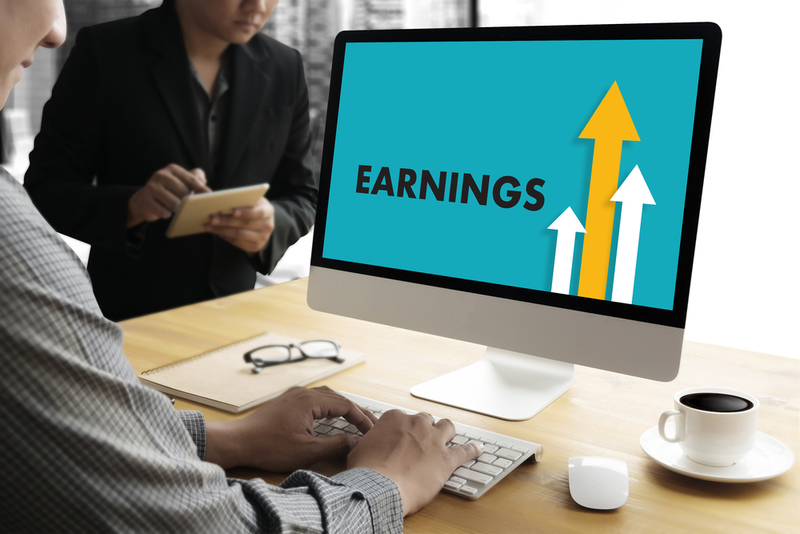 The rate tends to depend on factors like industry trends and competitive landscapes that are hard to translate into an earnings growth number. Instead of relying on my gut to estimate the rate, I sought to be more rational by relying on companies’ historical track records. In other words, if a company had a long history of delivering high per share growth in earnings, I predicted the company would continue to deliver high growth. Unfortunately, I found that historical track records were often poor indicators of the future. A good example of this is Bed, Bath and Beyond (Ticker: BBBY), which had shown phenomenal growth for multiple decades. But as more consumers shopped online, the company’s earnings began to suffer. Of course, I was aware of this trend towards online shopping, but I thought I had adequately accounted for this by lowering the expected rate of growth. But as it turns out, I had underestimated the impact of online shopping. After many years of double digit growth, BBBY’s per share earnings have declined in more recent years. My experience taught me that I need to employ more sophisticated methods to estimate earnings growth. This is where machine learning comes in. As regular readers know, I’ve been investigating whether different machine learning algorithms could be employed to predict stock prices. But in the long run, I want to stop predicting stock prices, and start predicting earnings growth instead. There are a couple of big problems I see with predicting stock prices. One, the stock market is often irrational, so an algorithm that targets stock prices may recommend getting into overvalued stocks, expecting them to rise even further because of hype. Two, stock prices are determined by elaborate games that traders play. I don’t mean that they collude, but rather that they try to predict each others’ next moves and get ahead of them. This introduces a significant amount of noise into stock prices, making them hard to predict for algorithms. Not only that, traders tend to change the style of games they play over time, and such changes could make previously effective machine learning algorithms ineffective. If I relied on such algorithms to buy overvalued stocks and the algorithms became ineffective, I would be left holding overvalued stocks that I don’t know what to do with. I want to avoid this outcome. On the other hand, if I train my algorithms to predict earnings growth, I won’t suffer from any of the problems I mentioned above. Earnings growth can’t be gamed the same way that stock prices can, so I expect machine learning algorithms to make better predictions. Furthermore, I expect those algorithms to keep working over time. Also, as long as the algorithms work, I could use them to consistently pick undervalued stocks. The price of such stocks may go down, but as long as I’m convinced that the algorithms are effective, I would have the confidence to keep buying more shares. For these reasons, I plan on devising algorithms that predict earnings growth through a variety of means. Some algorithms will rely on companies’ financial statements. Other algorithms will rely on alternative data, such as credit card transactions. Due to the complexity of devising such algorithms, I don’t expect to create workable algorithms quickly. Rather, this will be a long term project, and I will try to update you on my progress in these TFSA updates.